Hi everyone!!! 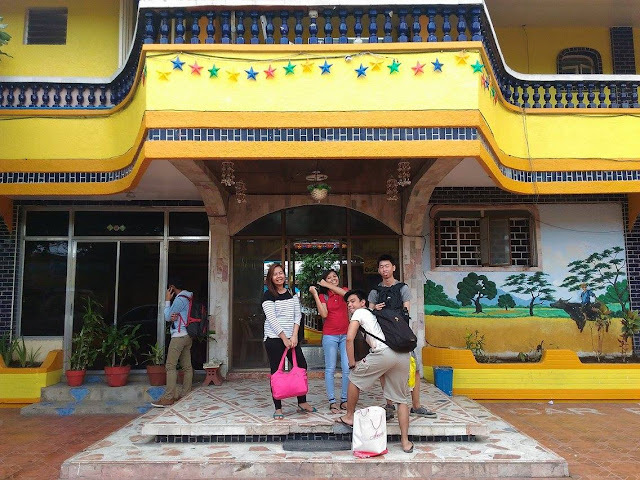 Today's post is a quick one where I will share to you My Pansol, Laguna Experience. 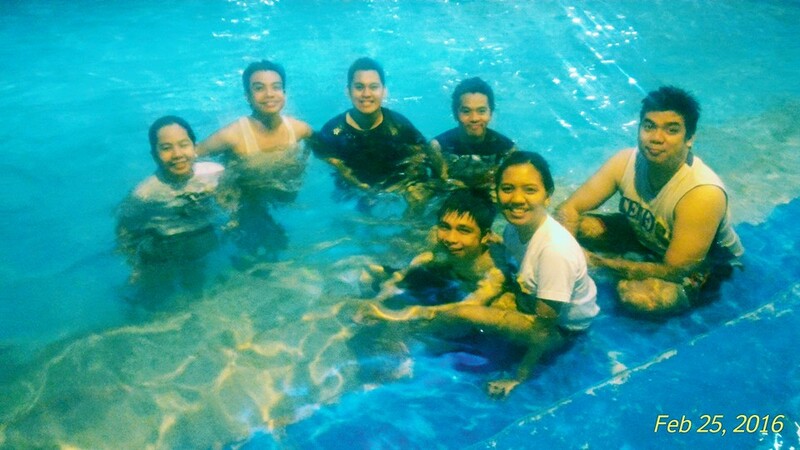 Last month me and my office mates had a mini overnight swimming at Pansol, Laguna. This is the quickest and the most frugal way to spend some time out of the city and the stress at work. This is also the first biglaan trip that materialized after a long time that it became a "drawing" READ: Goodbye September, Hello October. We were just 10 in the group and planned to do the overnight swimming on a Wednesday after work up to Thursday morning. 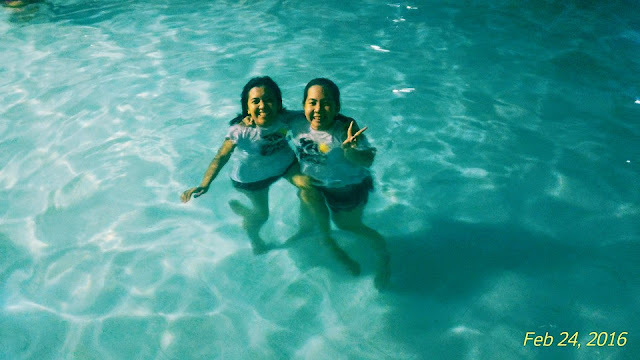 We went during the EDSA Revolution Holiday so that we still have the weekends to enjoy. Pansol, Laguna is the home of the best hot springs in the country. It is actually known for hot spring alone. 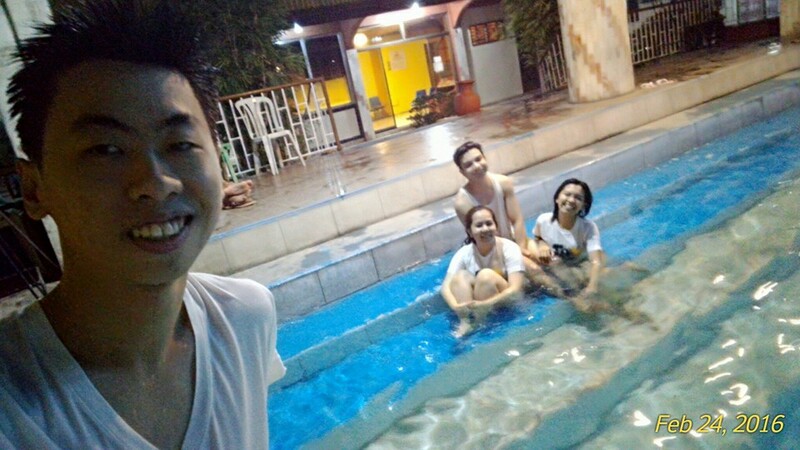 This is not my first time swimming at Pansol since I already spent one summer there together with my family. This time we went on a completely different location. Our destination was South Winds Resort. South Winds is at Resurreccion Street along National Highway. 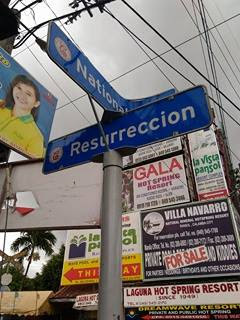 It is very easy to locate because it is the first resort you'll find when you enter Resurreccion Street. Since it is an overnight swimming we didn't actually see how the resort looks on the outside. It was when we were going out that we noticed it looks nice and promising outside. South Winds Resort has this homey vibe that the whole family or barkada will definitely take a picture with. 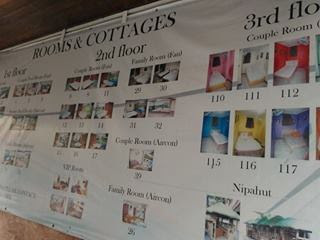 They have plenty of rooms for accommodation. Ate (the personnel in the cashier) is very accommodating. It actually looks like a private swimming pool because we were only along two other groups. The pool is wide enough but not the olympic pool you'll see on TV. It was an okey size. There's also a pool for the kids on the side. We opted to rent a room since we will be staying overnight and we wanted to sleep of course. Our rental fee for the room is 2,000pesos only including entrance fee and it has aircon already, TV, own restroom and two beds. It was a nice deal considering we were 11 people. Outside the room we have another table and chairs good for 10 to eat together. The room is nice and cozy and its filled with beautiful painting of nature too which is nice. Our Room Number is 31 I believe. 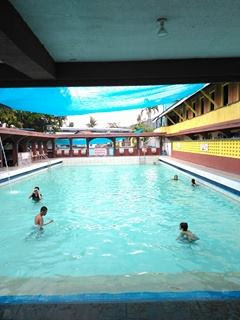 Swimming at South Winds is very relaxing. The water is of course hot but not too hot that it hurts you. 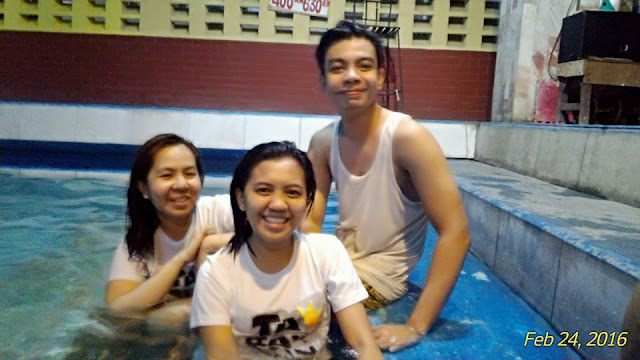 The South Winds Hot Spring resort is warm enough that your muscles can relax and your stress will surely fade away. We brought our own food and we didn't have to pay corkage which is again nice. Sinigang and Adobong Baboy is the best combination ever. There are lot of stores outside to buy food too. We had real fun at the pool. There's also karaoke where we spent most of our time in the morning just singing favorite songs ever. If you are not into singing you can spend time at the billiard area instead. It was a nice overnight hot spring swimming experience we surely enjoyed and we look forward to do again next time. 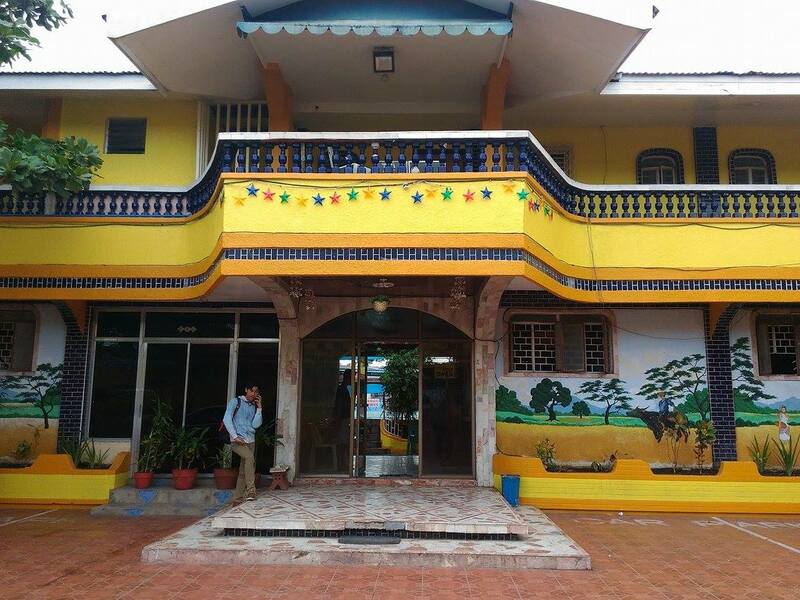 How to Go to South Winds Resort? From Makati ride a bus at Buendia Taft DLTB that says Sta. Cruz. Tell the driver to get you off at Pansol specifically Resurrecion street. Landmark will be 7-11 and Barrio Fiesta. Across the Villa ekek (can't remember the name) is Resurrecion Street. Note that you need to give 500pesos handling fee but this will be returned to you upon check out. Bus going Pasay, Cubao or Alabang will also pass by Resurrecion so you don't have to worry.